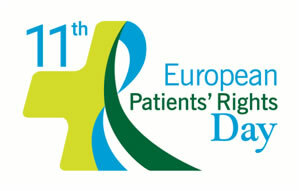 Active Citizenship Network celebrated the 11th European Patients' Rights Day with a conference, held on the 10 May 2017 in Brussels. The aim of the convention was to discuss, inform and suggest new approaches to the existing European and national medicines regulatory systems, for better management of access to innovation. This study defines and explores health tourism and its three main components: medical, wellness, and spa tourism. Health tourism comprises around 5% of general tourism in the EU28 and contributes approximately 0.3% to the EU economy. Health tourism has a much higher domestic share than general tourism does.Increasing the share of health tourism may reduce tourism seasonality, improve sustainability and labour quality, and may help to reduce health costs through prevention measures and decreased pharmaceutical consumption. Professor Alceste Santuari, Secretary-General of EAPTC is among the European experts that have been interviewed in the report. 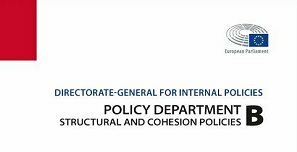 Please find HERE the final report on "Study on cross-border health services: potential obstacles for healthcare providers" published by the European Commission. This study has been undertaken by a team of experts of Ecorys, Erasmus University Rotterdam, and Spark Legal Network and Consultancy Ltd. The Secretary-General of EAPTC, professor Alceste Santuari, has been part of the team of experts. On 26th April 2017, the European Commission has enacted an important recommendation on the European Social Rights Pillar. It sets out some important principles, which also affect patients and users of Thermal and Health SPAs. In this perspective, the recommendation acknowledges that each EU citizen ?has the right to timely access to affordable, preventive and curative health care of good quality. Doubtless, health SPA provisions and services do fall within health care services, which citizens are to be ensured. This is the main aim of our Association, which is committed to helping patients and users of thermal centres and SPAs to protect their social and health rights. Chers amis du thermalisme social et médicalisé, la FFCM a le plaisir de vous inviter à participer à la réunion d’information et au débat qu’elle organise le jeudi 4 mai à 15 h à l’Office du Tourisme du Mont-Dore. Madame, Monsieur, chers amis du thermalisme social et médicalisé. Voici notre dernier communiqué, annonçant entre autres la fondation de l’UNAASS. Bonne lecture à tous et merci de faire circuler largement ce communiqué. Nous étions invités il y a peu par la radio RAM 72, et vous pouvez écouter cette émission en 2 parties de 10 minutes entrecoupée par une pause musicale de 3 minutes. Crowd votes Spanish off-grid eco complex best contributor to sustainable energy future. The award celebrates the one-year anniversary of the Citizenergy portal for community energy investment. The portal has shown considerable growth in the last several months: over 28 crowdfunding platforms and energy cooperatives from 13 European countries now feature their projects on Citizenergy. Merci de prendre connaissance et de faire circuler le communiqué du 04 janvier 2017. Vous pouvez aussi cliquer sur ce lien , ou aller sur la page d’accueil de notre site.